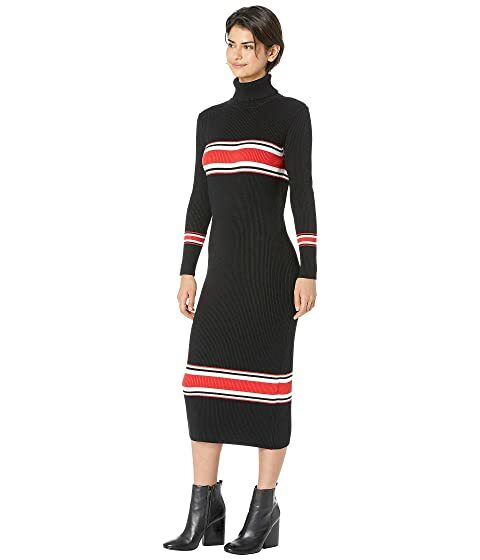 Flash an avant-garde look with this Free People™ Sport stripe Midi Dress. 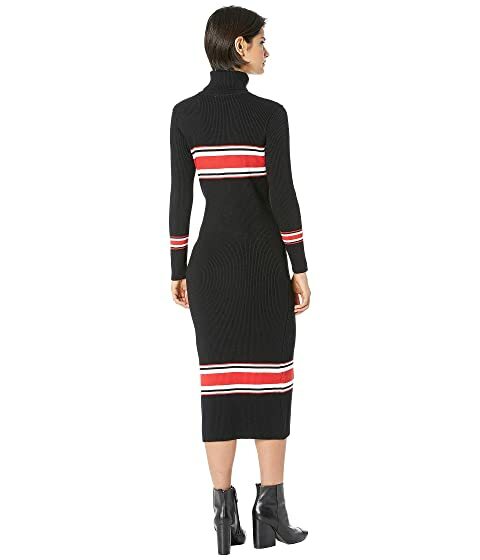 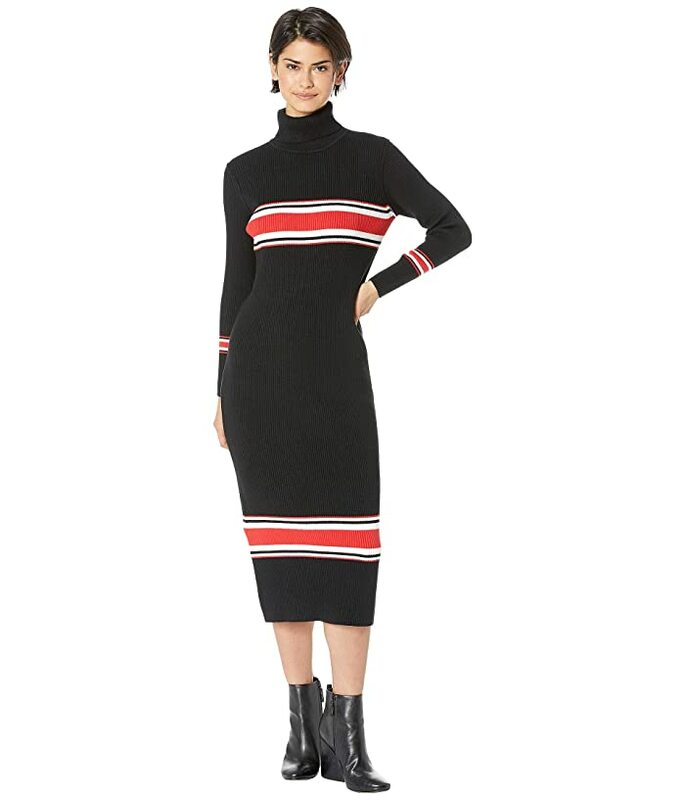 Sheath dress is crafted from a cozy sweater knit. Bold stripe highlights the bust, cuffs, and hem. 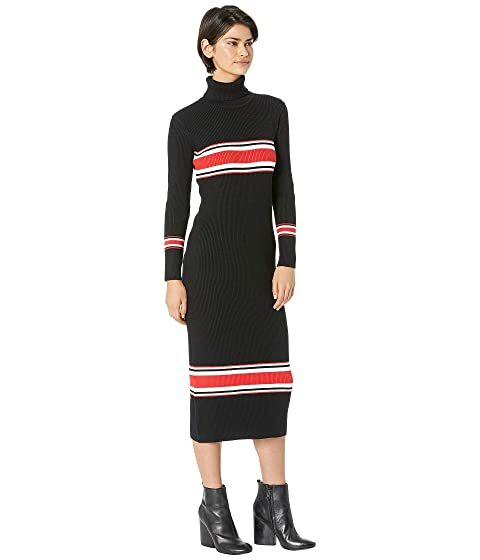 52% rayon, 28% polyester, 20% nylon.